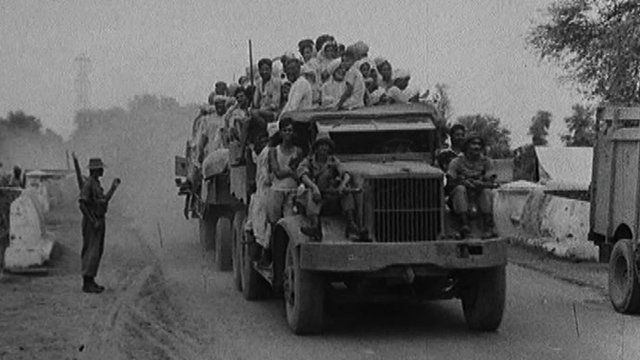 Partition of India: My memories Jump to media player In 1947, India split from Pakistan forcing millions of people to leave their homes in search of safety. 'I built the world's first jet airliner' Jump to media player In 1949 the de Havilland Comet was built, heralding a new age in commercial air travel. How WW1 shaped a poet's life Jump to media player Robert Graves' son William remembers his father's war poetry and reflects on how the Great War shaped his life. How I recovered The Scream Jump to media player Charles Hill, the British art detective, recalls the daring undercover operation to retrieve Edvard Munch's The Scream, after its theft in 1994. In August 1947 India gained independence from the British and split into two separate countries - the secular state of India, dominated by Hindus, and Muslim Pakistan. Millions of people were forced to leave their homes because of inter-religious violence. Muslims trekked to Pakistan and Hindus travelled to India. Kuldip Nayar was one of the many who had to make a desperate journey in search of safety. He spoke to Witness about his memories of that time.